Ankle braces are one of the most common pieces of equipment you see someone use with a sprained or weak ankle. I would also include wraps and ankle tape in this category. Okay, so you have a sprained ankle. But, does that mean they are good for your body? The surprising answer is probably not. Why? We have found through years of experience that although they may seem helpful, in reality ankle braces, wraps and tape actually make your ankle weaker. 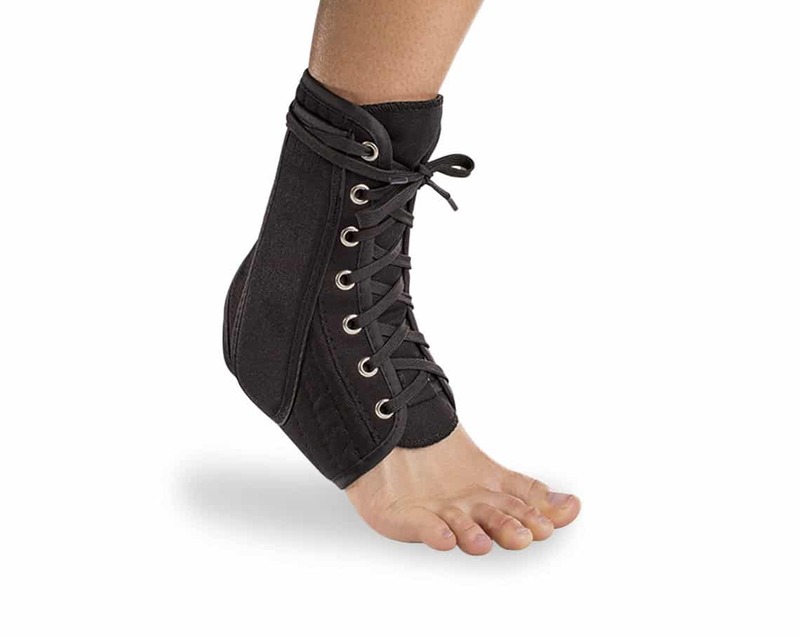 Their main function is to immobilize the ankle join for protection. That may sound nice, but the ankle joint is actually meant to be extremely mobile. Now, after a sprained ankle, it’s true that you want to protect it in the beginning, but you shouldn’t be playing sports right away anyway. You should be doing gentle, but effective rehab where you don’t need an ankle brace anyway. A) Ankle braces and wraps are not very good at reducing swelling. Through a lot of research and experience, we have found that more proactive healing methods are much more effective for reducing swelling. B) Immobilizing the ankle joint weakens the ligaments and reduces range of motion. While this may seem to help the ankle in the short run, your ankle will not heal properly or fully. In other words, your ankle will remain weak and inflexible, because it cannot restore it’s natural elasticity and strength. What does this mean for your sprained ankle? Slower healing and lower quality healing. Further, it makes your ankle more susceptible to another sprain. Compression, in the end, doesn’t do much. Remember, you will have a good amount of damage including scar tissue, swelling, bruising and weakened ligaments. An ankle brace certainly isn’t go to help you there. Plus, it will not allow your ankle to move naturally as it recovers which will keep it weak and inhibit a natural and healthy range of motion. So, as a general rule, we are typically against people using an ankle brace to help heal a sprained ankle or protect a weak ankle. Instead, we believe that you should incorporate a solid rehab program to naturally strengthen your ankles. This does not mean aggressive exercises that put you in danger. What you should be doing is using gentle rehab techniques that will heal your sprained ankle safely. The overall benefit of rehab versus an ankle brace will be that your ankle will get stronger instead of weaker. It will become more mobile instead of inflexible. And, you get the added benefit that you will heal a sprained ankle fast, much faster than with ice. And this approach has been shown again and again to be much more effective than the approach of RICE and ankle braces. Just remember, this approach of rehab does not imply causing more damage. Rest is still important as part of the solution, but doing safe and effective rehab will get you the best results in the short run and long run. 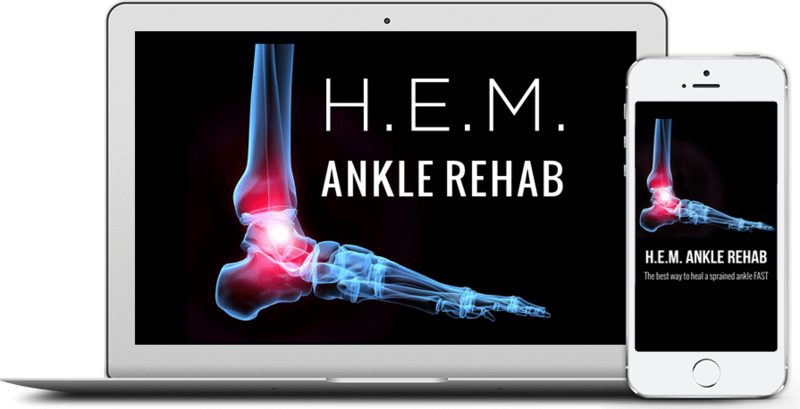 Obviously, we suggest either seeing a great rehab specialist or doing a good quality sprained ankle treatment which has been shown to drastically improve both the speed and quality in the healing of your ankle.